Why won’t the UCCNC installer complete when running the Stepcraft Multi-installer? The most common cause that prevents the UCCNC installation from completing is due to the lack of Microsoft’s .NET Framework being installed. To do so, simply navigate to your Control Panel and select Programs. From there select the “Turn Windows Features on and off” option. Check the box for Microsoft .NET 3.5. Once your .NET framework is installed, continue with a fresh installation of UCCNC using the Stepcraft Multi-installer provided with your Stepcraft CNC system. Why is UCCNC running sluggish and slow? The most common cause for UCCNC running sluggish or slow, to the point where it is almost unusable, is because Windows had recently automatically installed an update in the background. This is most common when using Windows 10. 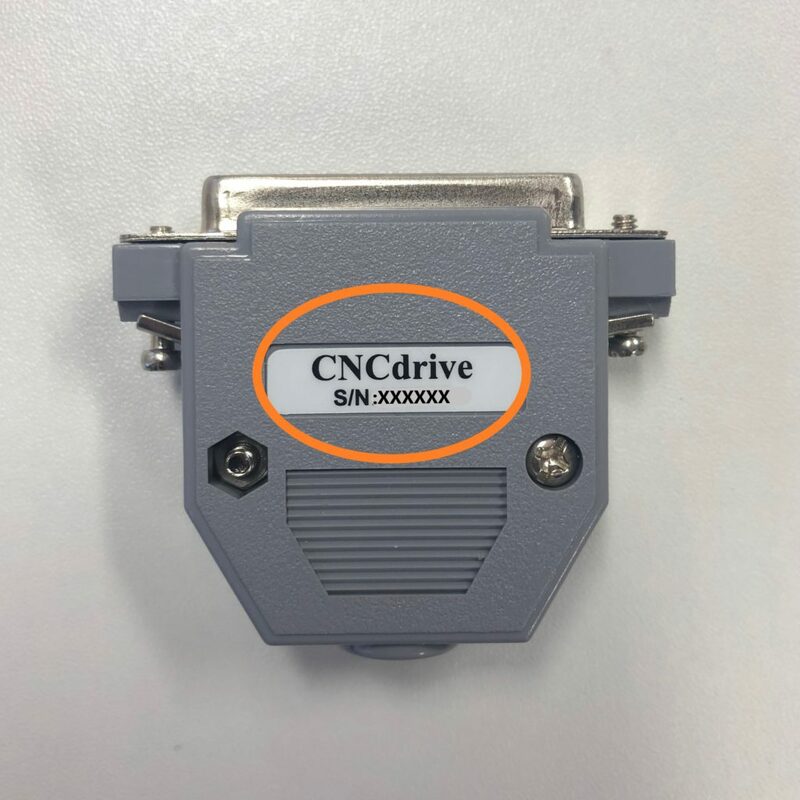 CNC Drive, the makers of UCCNC software are very good with addressing these issues, however sometimes they have to wait until they even know there is an issue, which is usually when users notice the problem and contact CNCDrive or post online. If this happens to you before a UCCCNC update is available, then the fix is to uninstall the most recent Windows update (or updates). The following video shows you how to do this. Why is the Yellow dot not in the location I set on my work piece in UCCNC? In the live display window in UCCNC it shows you your project file as well as the location of the tool in real time. The tool is represented by a Yellow Dot on the screen. 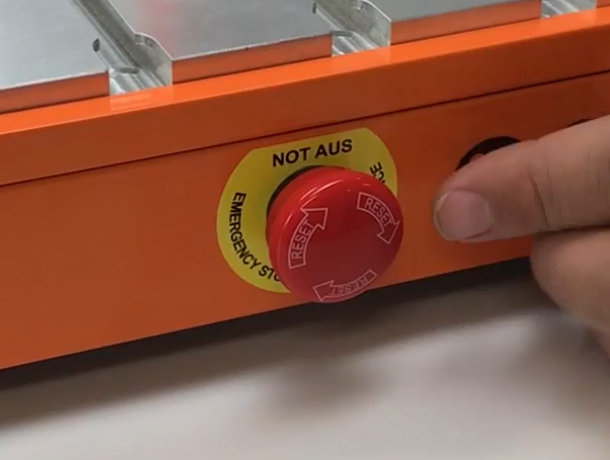 If you setup a job with the XY datum in the center of your job, then Yellow dot should be in the center of the screen in that window before you start running the job. This is how the yellow dot should look on a job where you set the XY Datum to be in the center of the work piece. This is what it might look like if you have not zeroed your machine. The Yellow dot will be outside of the work piece. PRESS THE HOME BUTTON FOR Y AND X – this will reset the digital read out (DRO) to 0.00 for each. Where Can I Download the Stepcraft Multi-Installer? The multi-Installer can be found on the orange USB flash drive sent with every D. series CNC system, or can be downloaded from the Dropbox link below. What software comes with the machine? STEPCRAFT, Inc (USA) includes UCCNC machine control software with each CNC system. The only software you need to additionally purchase is a CAD/CAM package like Vectric Cut 3D or V Carve. STEPCRAFT also includes a free one year subscription to Fusion 360 with each machine. STEPCRAFT in other parts of the world gives you the option to purchase the machines with UCCNC, WinPC-NC or without any machine control software. What does it mean when I get the “Select the motion controller device from the list” when I start UCCNC? Sometimes when you start UCCNC you will get the “Select the motion controller device from the list” message box that pops up. This is either happening because your UC100 interface or USB cable is unplugged or the device driver did not properly install. This video will show you how to fix this. If you are still have trouble after watching this video, please contact our support team at support@stepcraft.us. What does “The current job workspace is out of the set software limits” error window mean? This error happens when your design is larger than the allowable work area on the CNC machine. Every machine has its own specific software profile that you install with UCCNC. This software profile tells UCCNC what the available work area size is on your machine. The main reason for this is to protect your machine from crashing into itself if you run a job that is larger than the machine’s capabilities. Think of the “software limits” as invisible limit switches. When you load a job into UCCNC, it looks at the G-Code automatically and compares the XYZ dimensions of your file against the software profile to make sure that the job can fit on your machine. If the settings in your file are larger than the work area, then you will get this error window. Sometimes, if your job is NOT larger than the work area size for your machine and you get this error, you can reposition your work piece so when you zero X and Y that you fall within the work area. For example. Say your machine has a work area limits that are set to 420 mm on Y and 300 mm on X and you are trying to run a job that is 380 mm long x 280 mm wide. This job should work with no problem, however if you have the work piece positioned more than 20mm from the left side of the machines work area limit or 40 mm away from the front of the machine, and you have zeroed UCCNC in that position, then you will get this error when you start the job because it adds the job size to the position where you have X and Y zeroed and if that number is greater than 420 on Y or 300 on X it triggers the error. 1.) In your CAD/CAM program. If you are using Vectric it will be under “Material Setup”. 2.) In UCCNC –> CONFIGURATION –> GENERAL SETTINGS. About half way down on the right side you have your “Safe Z height (Units). You can lower this number for more room. The two values do stack, so if you are still having trouble try lowering both. Another common cause for the error is to verify where your XY Datum is located in your design file. Many times a job might have been set with a XY datum of the lower left corner but the operator sets the machine up as if the XY Datum is in the center. This will, in most cases, cause the error because that zero position added to the jobs work size will exceed the software limits of the profile in UCCNC. What do I do when the UCCNC installer will not work? On rare occasions when you click the UCCNC installer, it will seem like it is going to run but then nothing happens. In order for UCCNC to properly install, it requires the .Net 2.0 framework and some Windows 10 machines, it is turned off by default. You can turn this on easily by following this video. What are the computer requirements to operate the machine and software (UCCNC and Vectric)? All STEPCRAFT software, including UCCNC and Vectric products require a Windows-based computer system or a Mac running Parallels with Windows. If you wish to run Fusion 360, that can be run on both Windows machines and Mac computers natively. My UC100 is broken. What are my options? Please send an email to support@stepcraft.us and they will help you get a replacement. How many computers can I install UCCNC on? There really is no limit, you just need to make sure you have the license file for the UC100 parallel to USB interface installed on each computer in the C://uccnc folder. The limitation is not how many computers you can install it on, it’s the fact that you can really only “use” it on the computer that has the UC100 connected to it. So if you have 5 computers with UCCNC installed, you would have to move the UC100 from computer to computer and connect to the CNC in order to use that computer. The software is linked to the UC100 hardware. How hard is the software to learn? A CAM (computer aided manufacturing) program. A CAM program will take the vectors or 3D model that you have designed and allow you to tell the program which tools you intent to use as well as the material size and the speeds and feed rate that you wish to run for your project. The CAM program will output a G Code file, which is basically common machine language for CNC machines. Vectric programs like V Carve and Cut 2D make this process pretty easy. STEPCRAFT sells and supports the full line of Vectric programs as well as Deskproto Multi-Axis CAM software. UCCNC (or machine control software). 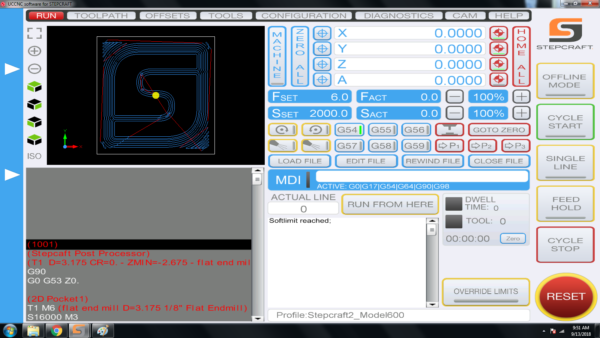 This program is used to setup, job and zero the STEPCRAFT CNC as well as loading and running the G Code file that was created from your CAM program. So answer the question as to how easy it is to learn, really depends on what you are looking to do. For example, if you are looking to do projects that are pretty complex and require that you design them in Fusion 360 or Illustrator, and you DON’T know how to use these programs, then you will have a longer learning curve since you will have to learn the design program as well. Assuming that you already know how to use a design or CAD program, then the next program you would need to learn is a CAM program, such as Vectric V Carve. The nice thing about V Carve (or Cut 2D) is that the interface is very easy to learn so you can be on the way of making your first CNC project in a matter of minutes. However, as you progress, these programs have a lot of powerful features that will extend the limits on what you can create on your STEPCRAFT CNC machine. As for UCCNC, this program takes about 15 minutes to learn how to use. Much of what you see on the screen are buttons and features that you will not use (unless doing advanced features like automatic tool changing, etc). There are only about 5 buttons that you will need to focus on to successfully start creating projects on your STEPCRAFT right away. This video gives you a basic overview of the software programs and how easy it is to get started right away. How do I Recover My UCCNC License File? If you have misplaced or lost your UCCNC license key file, the process of recovering it is fast and easy. The serial number located on one side of your UC100 corresponds to your hard-coded license key, as shown below. Simply contact our support team and provide them with this serial number, and you will receive your recovered license file as an email attachment. How can I reset my Stepcraft UCCNC installation and Settings? How can I reset my Stepcraft UCCNC installation? Can’t seem to solve a strange bug or error? Can’t find a fix here? Mismatched or changed profile settings are a very common cause, but what if you cannot locate the setting that is giving you these issues? A fresh installation will take care of making sure your profile settings match the default ones and make sure that you are not going in circles when troubleshooting UCCNC. This short video will walk you through each step required to not only remove any trace elements of your old installation, but also covers how to re-install your profiles to reduce downtime and get your machine back up and running. 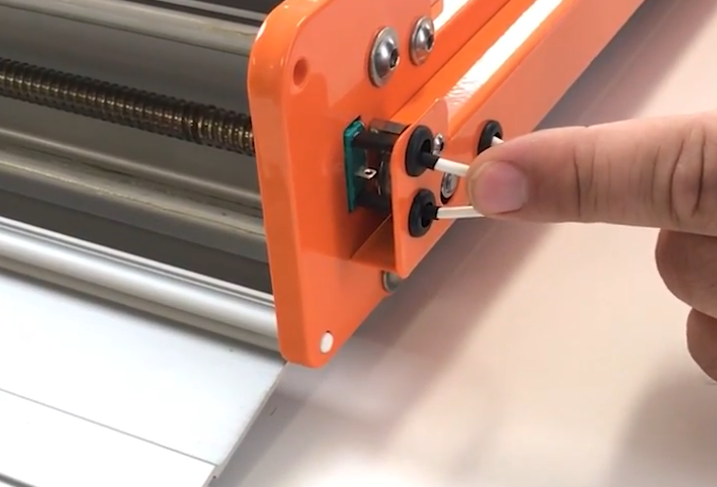 Does the machine need to be connected to a computer or can it access files directly from a thumb drive? Can I use a Mac with a STEPCRAFT CNC? Yes! While the UCCNC and Vectric Software both run on Windows platforms, you can use a MAC as long as you run Parallels software which allows you to install Windows on your Mac. You can not run UCCNC or Vectric natively on a Mac (without Parallels). If you use Fusion 360 for CAD/CAM, then you can install that natively as they have a Mac version of that software. However, UCCNC will still need Parallels with Windows. NOTE: Since a Mac computer is typically much more expensive than a Windows system, and the fact that UCCNC does not need a powerful computer, we recommend using your Mac for the design work and then getting an inexpensive or refurbished computer (desktop or laptop) to use to run the CNC, since the area around the CNC can potentially have dust and chips that might get on or near the computer.